What do you do when you feel lost? 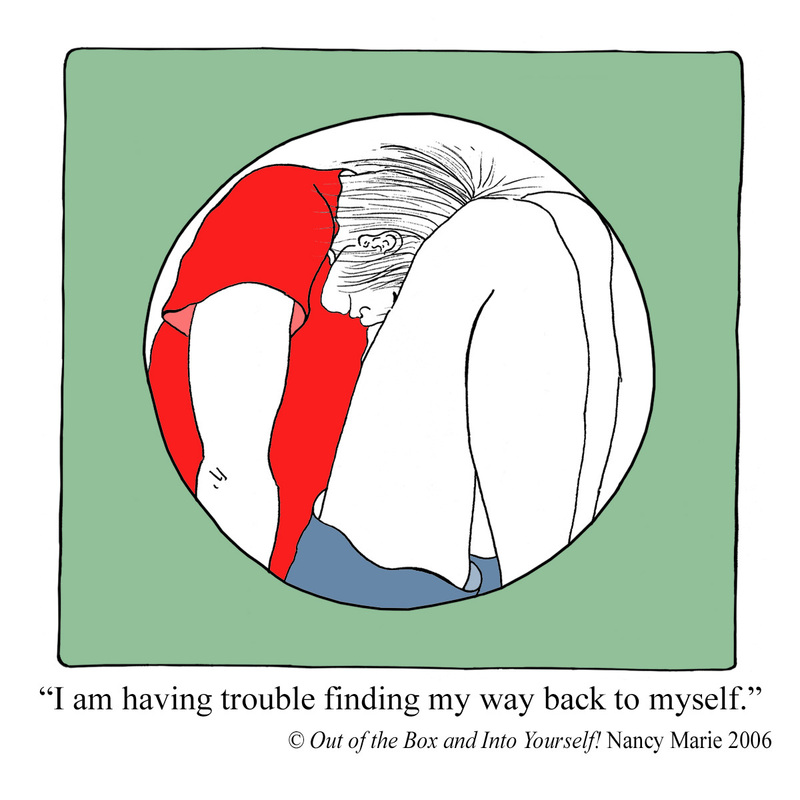 What do you do when you feel disoriented or confused? What do you do when you or your mind wanders so far you can’t find your way back to yourself? When I was younger I used to try and muscle through those moments. I tried to pretend they didn’t exist. I tried to ‘fake it until you make it’, but then one day I realized that I was just running. I was running from myself and I was running from life. That day I made a choice. I chose to stay. I chose to be present. I chose to explore what I needed to change so I could be present and make a difference. On that day, my life changed. Now when I find my mind wandering too far, I stop and ask myself what am I avoiding? What do I need so I can approach life in a more present manner today? It is a simple question and a simple step, but it has made a huge difference in my life. There are many ways to help you come more fully in the moment and find your way back to yourself. I personally turn to some of the ICWIB activities because they are simple, easy to use and very effective for me. With this in mind, I invite you to explore some of the FREE ICWIB art activities and videos. Since the ICWIB program has repeatedly demonstrated its ability to help even young children reduce stress, release bottled-up emotions, resolve internal conflict, and learn to self-regulate and place their mind in a learning ready state, I think it should be available to any teacher who wants to actively use it in his or her classroom regardless of their ability to pay for the training. Would you like to hear more about how we are working to make this a reality? If you do and you enjoy these messages, Like us on Facebook or sign-up for our newsletter and share it with others to enjoy.